Dr. Cathy Lovett is board certified in Radiology and Diagnostic Radiology, with a vast medical practice experience of over 40 years. She graduated with honors from the Medical College of Georgia, did an internship at the Memorial Health University Medical Center and completed her residency at the Baptist Health System. Over the course of her career, Dr. Lovett has collaborated with different doctors and specialists without being the member of any medical group or association. 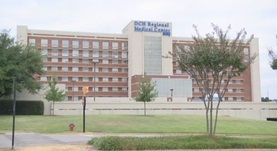 At the time, she practices in Alabama, at the DCH Regional Medical Center.